Founded in 2011, AmRRON was originally created as a communications network to keep communities and states within the American Redoubt connected in the event of a major disaster situation, or socio-economic collapse. Within a year, over half the members consisted of those living outside the American Redoubt. AmRRON has now grown to nearly four thousand radio operators, with members in every state, plus Puerto Rico and Canada. In January, 2014, AmRRON merged with TAPRN, making it the largest conservative mostly-Christian radio network outside of a faith-based organizational structure (such as Salvation Army and LDS). 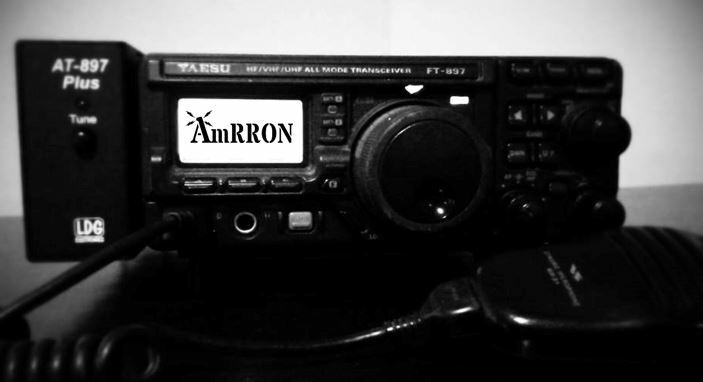 AmRRON is a network of Preppers, Patriots and Redoubters who have volunteered to keep each other connected when other means of communications are unavailable or unreliable. AmRRON operators participate in >>scheduled nets<< to practice using non-conventional communications. Although, AmRRON has interoperability with other preparedness and patriot networks, we strongly encourage other communications teams to develop their own, communications plans in the event that AmRRON becomes disrupted or compromised. Click HERE to join the AmRRON network! Although Ham operators are also expected to perform Relay functions, dedicated ‘Relays’ are typically operators who have volunteered to monitor for radio traffic from other members, and then Relay that information across their local area, or to a Ham Operator, who can then pass the information on to others in the network. Most Relays have at LEAST one type of CH3 Project communications, such as a CB (Citizens Band radio), FRS (Family Radio Service), or MURS (Multi-Use Radio System). But they generally SHOULD have some type of communications that can monitor for radio traffic from Ham Operators, such as a high quality shortwave (with Single Side Band) radio or a police scanner (typically from 30mhz to 800mhz), or both. This way they can hear traffic from many, many miles away and relay that to Redoubters in their local area using CH3. Use their equipment and skills to keep the network connected and informed and to coordinate the efforts. They may also relay relevant information and alerts. The frequency bands that are covered by many Ham Operators include HF (shortwave), 2m, 70cm, CB, FRS/GMRS, and MURS. AmRRON also has a paid membership, called AmRRON Corps. The AmRRON Corps team is group of communicators dedicated to learning and being involved at a higher level. AmRRON Corps members have access to experience operators and are able to have direct communications with other members via the ProBoards forum. This is an amazing group of communicators and have become a strong team by working and learning together. If you are willing to learn we would love to have you on the team!